The Chairman and President of the Export-Import Bank of China who is currently in the country to discuss with Government financing modalities for Karuma and Isimba hydro power dams among other projects has taken swipes at other donor countries for imposing conditions on aid. Li- Ruogu, adding that China’s policy is not to teach Africa what to do but to share China’s experience and leave decision making to the respective countries. 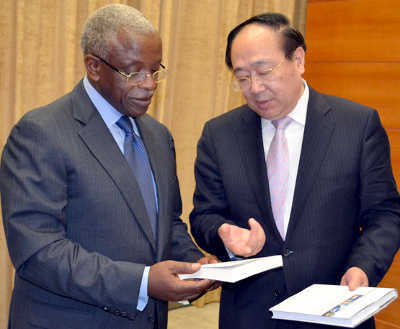 The China Exim Bank President who was accompanied by a 16 -man delegation made the remarks on Tuesday while meeting Prime Minister Amama Mbabazi at his Office in Kampala. He said the Chinese people will never forget the support of Africa during their liberation struggle. The Bank President said their policy on cooperation emphasises development projects support as opposed to budget subsidies. “Infrastructure is important for a country’s development, so we invest heavily in this sector because transportation and energy are key to economic activity,” Ruogu said adding that their objective is to leave a legacy with tangible and concrete projects for the beneficiaries. He also called upon Uganda to use her potential to develop its economy like Angola and also ensure that the agricultural sector is well developed to ensure sustainable development. Ruogu on a four day visit said effectiveness and discipline in the use the available resources whether borrowed or locally generated is key to increased growth and development. In his remarks, Mbabazi said Uganda is happy to learn from the China model of development. He said support from China since the liberation struggle has enabled Uganda to build the capacity to defend itself and embark on development. “A people who cannot defend themselves can’t be free. 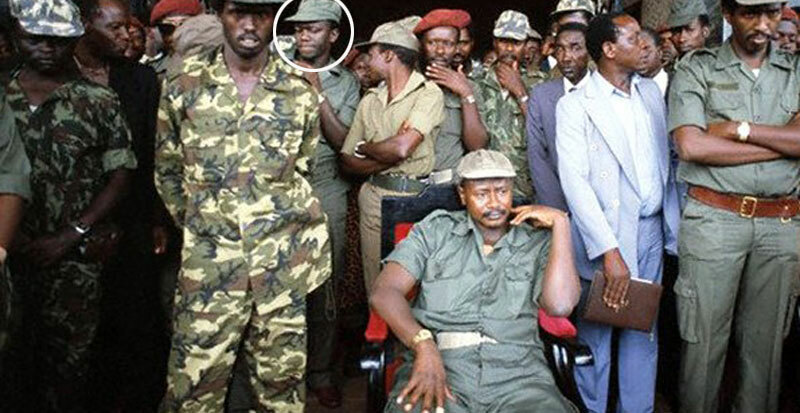 China helped us to build the capacity to defend ourselves,” Mbabazi said. 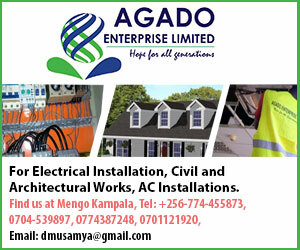 Mbabazi said Uganda is ready to use the oil resource strategically to build infrastructure such as the standard gauge railway line connecting the East African countries. “We hope to raise our national power grid from about 900MW to 3,885MW in the period of 5-7 years,” Mbabazi said adding that Uganda has a lot of resources to exploit including the second largest phosphate deposit in the world. The China Exim Bank President is expected to inspect progress made on the construction of the $350 million, Entebbe express highway financed by the Bank. The Export Import Bank of China founded in 1994 is a State Bank solely owned by the Chinese Government.